Who are those Boy Scouts in 1943? 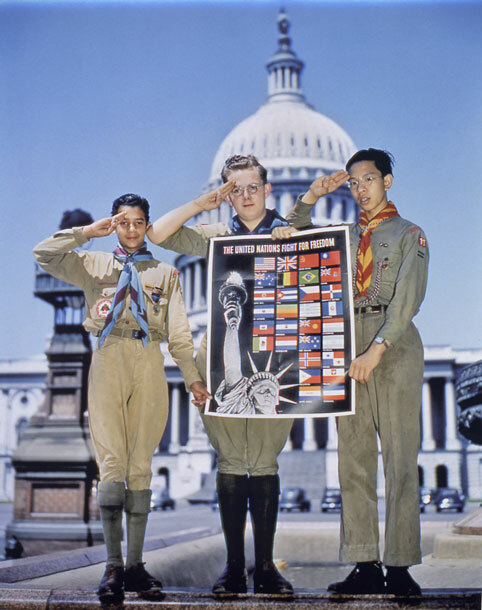 A posed photograph: Three Boy Scouts, from at least two different units, holding a poster Scouts were distributing about international cooperation in World War II. 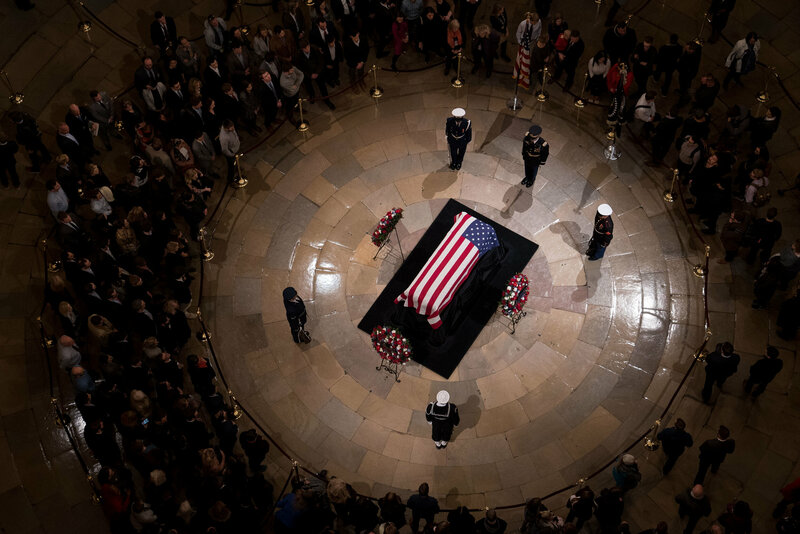 They are saluting, and behind them rises the dome of the U.S. Capitol on a brilliantly sunny day. Caption from the U.S. Senate Historical Office: "Boy Scouts aid the war effort by delivering posters that encourage a united fight for freedom, ca.1943. credit: Library of Congress"
1943? Who were the Scouts? 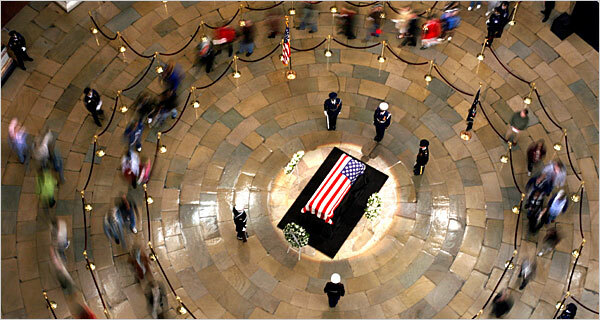 The photo is online in the collection of the U.S. Senate Historical Office (a good source of images, by the way). I just wondered, who are those Scouts, and where are they today? Boy Scouts assisted war efforts in a lot of ways in a lot of American cities, towns and villages. Affiliates at the Tom Harbin Scout Museum at Camp Wisdom in Dallas (Circle 10 Council) have papers documenting and detailing massive scrap and paper drives, and a lot of other activities we probably wouldn’t let Scouts get into today. The three Scouts in the photo wear what appears to be two different neckerchiefs, suggesting they come from at least two different troops or other units. All three wear the uniform of the Boy Scouts of America, but two of the three look as though they may be immigrants or children of immigrants. The date given is a “circa 1943.” But the poster plugs a “United Nations” — could it have been as late as 1945 or 1946 and the official organizing of the United Nations? What do you think? 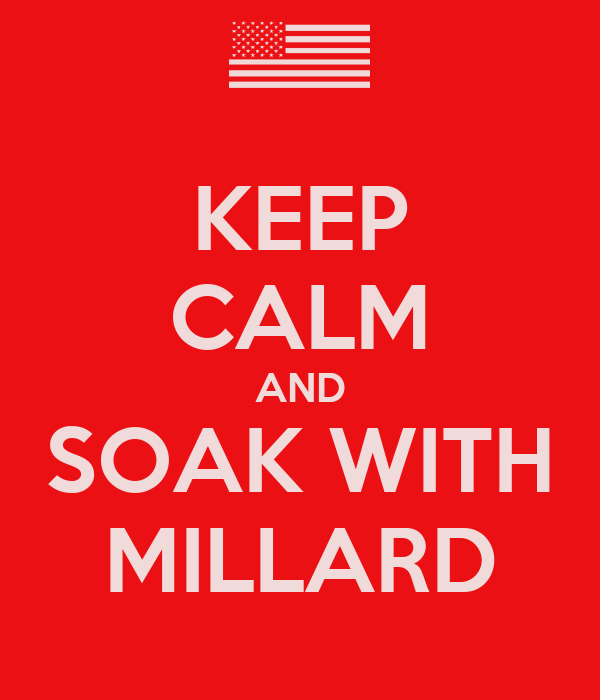 What do you know? “Washington, 1943. “United Nations Fight for Freedom: Colored, white and Chinese Boy Scouts in front of Capitol. They help out by delivering posters to help the war effort.” View full size. 4×5 Kodachrome transparency by John Rous for the Office of War Information. What photo expert out there can tell us about the numbers on these Kodachromes — how and at what point in the manufacturing/ exposure/ developing process they were made, and what they signify. All those details and not the names of the Scouts? In comments at Shorpy we also see that the temporary patch for the Scout on the left is for a 1942 campout. So we know the photo was later than 1941. The community patch for the Scout on the right says Washington where the city patch should be, with no state patch (if they had separate patches then). So it’s probably a Washington, D.C. unit — and it’s Troop 11. 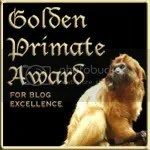 Anybody from National Capital Council ever read this site? Were all three of these Scouts from Troop 11? I have found, but cannot yet examine, another photo from the same roll of film, showing just the Scout in the middle. Caption from CityDesk.net: "July 1941. 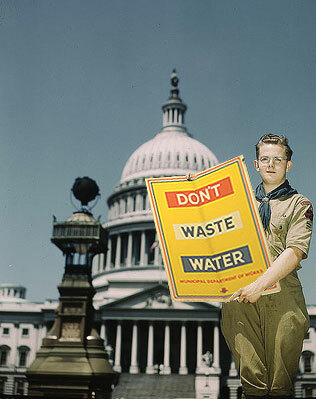 Local Boy Scout Anderson Grimes in front of the U.S. Capitol building in Washington, D.C., holding a copy of a WPA poster designed for the city’s landmark water conservation program." That solo Scout is clearly the same one in the first photo, so we have one name: Anderson Grimes. If true? 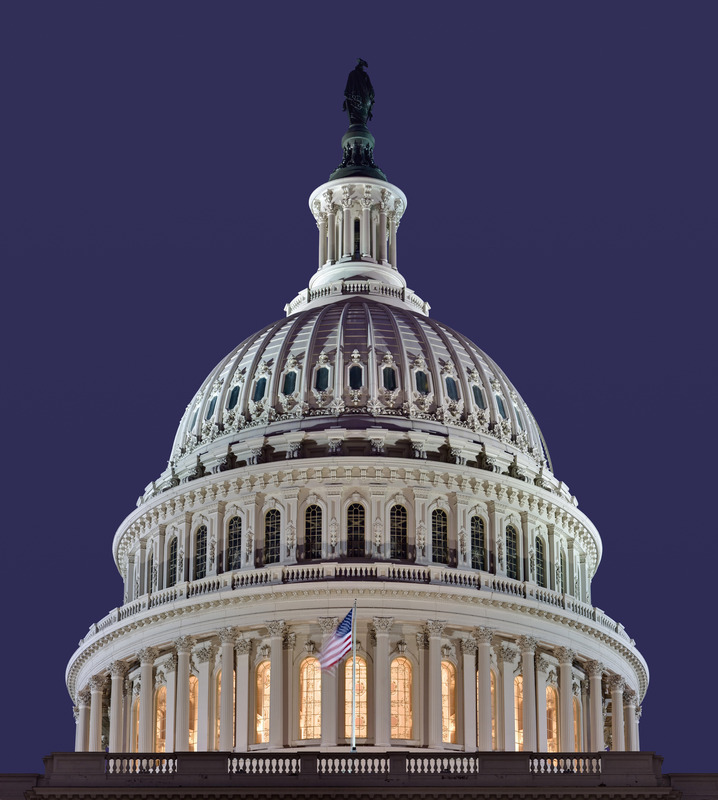 I can’t find a listing for a Sen. Harford Collins in the Congressional biography pages, nor for any Member in either house named Anderson Grimes. More mystery. Is the Scout even named Anderson Grimes? Okay, after j. a. higginbotham wrote in, I finally got it: CityDesk.net is a satire site. They wrote a phony story to accompany the photograph. That’s right: I got hoaxed. Still looking for information on the Scouts and their troop(s). 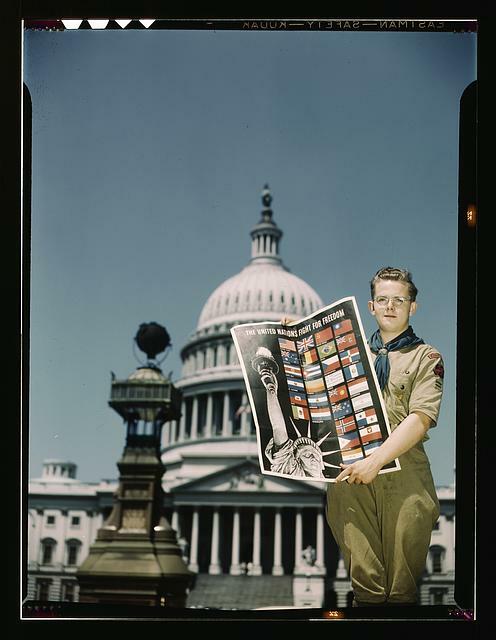 From Library of Congress: "United Nations Fight for Freedom: Boy Scout in front of Capitol. They help out by delivering posters to help the war effort"